Okay! Now that all the drafts are done, it's a good time to start testing some of the numbers we've come up with. I'm not quite ready to put everything together in a single thread, like in GW4; I'll do that in the SUPER BETA. For now, I just want to play. SCENARIO: Season 1 of Year 300, 7A. The World Guardian is gone, the Pendant of Sealing is lost with him, and the gods, though banished, are flexing their muscles once more, using human Warlords to raise armies in their names. 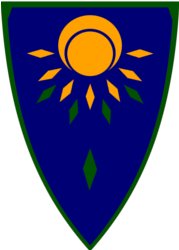 Two factions are the first to rise to prominence: The House of Timur, located in the restored town of Uzer, who fights in the name of Tumeken and the Desert Pantheon; and the Engellian Empire, based in Burthorpe, who brings Saradomin's Light to the world. Though each of these factions only start with one settlement, they're determined to expand and establish a real foothold in the aftermath of the Kingdom of Gielinor. NOTE: I don't think we have to wait 2 days between SRs. William can do 'em whenever he's online and Lime and I have done our turns. Also, the tentative length of this playtest will be 10 seasons. Faction Name: The Uzer Colony (Uzerites) or, alternatively, the House of Timur. They say that in the darkest of storms, hope shines down, a guiding light that illuminates the way to the faithful. Maybe it's true, maybe it isn't. But, in the middle of a dark storm of destruction and hopelessness, five souls triumphed and made their home in a long forgotten city. Many years ago, a fierce storm encompassed a small nomadic settlement. In this settlement, was a Family of seven. A loving mother, Ayla, a father, Timur, and five children, named Ibrahim, Abbas, Malik, Gezgen, and Asena. But then came the Dust Storm, a fierce thing that swallowed the settlement. It destroyed all the Yurts and killed all but the Four Brothers and one sister, who suffered a head injury, and entered a deathly sleep, of which they could only pray to whatever Gods they could remember to save her. The Siblings miraculously found four camels and rode through the perilous, stormy desert. They rode for seven days and seven nights, and the Dust Storm raged for the entire time. Visibility was low, their supplies were dwindling, Asena's injury seemed to only get worse, and the Brothers, one by one, were losing faith. Finally, on the Eighth day, Abbas saw it. A Beam of sunlight, through the cloud layer, pointing in a direction. Hysterically, Abbas rode in the direction, and the Brothers followed. They found a large ruined settlement, riddled with fallen walls and broken statues, but with a large undercity of interconnect basements and tunnels. They Children of Timur took refuge in that undercity, just within the entrance of the vast former network, only waiting to be uncovered. They set up torches, checked their supplies, and investigated the area. One wall, in particularly, seemed to be dripping water. Ibrahim had a taste of it, and it was the coolest, most refreshing water he had, and it plunged him into a Vision. In his vision, he saw Eight Figures. One by one, they explained their names, Tumeken, Elidinis, Amascut, Icthlarin, Het, Crondis, Apmeken, and Scabaras, and their purposes. They explained that they were Gods, explained the beam of light as their doing, and gave Ibrahim a mission, now known as Ibrahim's Revelation: He was to build a Colony in the name of his father and the Desert Pantheon. They told him that they were to build this Colony out of the ruins of the former settlement they found, which was called Uzer. They said that the Water Wall was also a blessing from the Desert Pantheon, and that each of the Children should have a taste. Finally, they explained to Ibrahim that he should make sure that all of the World knew of the Desert Pantheon, and were united, despite their difference, under the just rule of the Pantheon. Ibrahim accepted, and came out of him vision. Malik, the smartest, most inventive, and most observant of the brothers, had a taste of the water next, and Saw Scabaras, who explained to him the path of Science that lay before him, and would lead the Uzer Colony to greatness. Then, Abbas drank from the wall, and saw before him Het, Tumeken, and Scabaras, who showed him the code of Honor, Bravery, and Skill that he, the Chosen Military Idar, would lead. They also taught him to create explosive weapons, and he became the first Bombardier General, and would go on to teach a select few the ways taught to him. Gezgen was the next to drink from the wall, and saw a vision of Apmeken, Crondis, and Elidinis, who entrusted him with the ways of Skillful Diplomacy. FInally, Abbas brought the group's sister, Asena, who still had not awoken. They poured accumulated water from the wall into her mouth. For a moment, nothing happened. But then, Asena woke up, and claimed to have seen a vision from all the gods, and to have been given a Doctrine from Tumeken, which would later become known as the Doctrine of Tumeken. They went on to tell her that her duty was to be the Lips of the Gods: Speaking the Words they say to her. She says that more Nomads with similar stories would come, each with a Doctrine given of their own, to add to their religion. Over time, Travellers came. From Al-Kharid, Nardah, Ullek, Menaphos, Pollnivneach. All across the land. Uzer had blossomed back into a settlement that it once had been, many thousands of years previous. The House of Timur and the Fallen City of Uzer had indeed, once again, risen from the Ashes, to confront a storm of war that they could find their way through, only with hope and their faith in the Pantheon. Eventually, the House of Timur would triumph over the storm, and Tumeken's Mission laid out to Abbas, Ibrahim, Malik, Gezgen, and Asena would finally be accomplished. Explanations: Sliske did something to the water, or something, and shone down the "beam of light" with Cheap Magic Tricks, and actually caused the storm itself. He was also the one to injure Asena in the first place, and the one to further her sickness in the future, in an attempt to destabilize the family. It was a happy accident that the other Brothers kinda swept her under a rug and her her replaced with her Daughter Look-alike, as Sliske plans on using the true Asena against the family in the future, and can simply continue with his plans now. Sliske also was the one who gave the travellers missions, and also convinced them to journey to Uzer. The Government, quite simply, is an Ogliarchy. There are five leaders, or Idari, one of Technology (Malik), one of Internal Affairs (Ibrahim), one of Defense (Abbas), one of Religion (Asena), and one of Diplomacy (Gezgen). The Idar of Technology, Malik, works mostly with the Professors. Since there are so few in the land, he knows all of them personally. He’s not too major in the decision-making process. 1. They must pay taxes and collect resources like everyone else. 2. They must abide by Uzerite Regulation laid out by the Idar of Internal Affairs. 3. They must allow passage of all Uzerite Soldiers through, without question. If, in any event, the Regional Lords violate this, they are subject to punishment. It’s an unspoken rule, however, that the Idar of Internal Affairs treats the Regional Lords like advisors. The Idar of Defense, Abbas, is the paragon, and he controls the armies. Him and the Idar of Internal Affairs are the ones that do the Lion’s Share of the work in the Empire. The Idar of Religion, Asena, keeps all of the religious texts safe. She explains the roll of religion in the Uzerite Culture, and makes sure to preserve it’s tenets as explained further. However, there is a bit of Scandal in this area. The True Idar of Religion is actually a daughter of Asena, Erij, who looks much more like her mother. Her mother, as a result of her head injury, became badly unhinged. As the years went on, let’s just say that some of her religious practice went bad. Culty type things. Male Harems, Ritualistic Sacrifice, and the general insanity. The other Idars, being her Brother, argued in great depth over what to do, and, in the end, decided to secretly give Erij, who looks very much like her mother, Asena’s identity, while keeping the true Asena, and whatever demented following she has, out of public eye in an undisclosed location. Only the other Idars know. Asena's Madness is a mix of Schizophrenia caused by her long-time head injury, Dementia (Causes her to have Delusions) from the injury as well, along with a healthy amount of encouragement from Sliske in her dreams. She's batshit crazy, but pretty much out of sight and out of mind due to the work of her brothers. Her daughter pretty much acts as "The Pantheon" intended for her to act. Idar of Diplomacy handles most of the Large-Scale Diplomatic work and intermediary duties. He’s additionally not too major in the Colony, much like a Diplomatic version of the Idar of Technology. Basically, the Pantheon Stresses diversity. Most interpretations have their core being the 5th age Pantheon Gods. 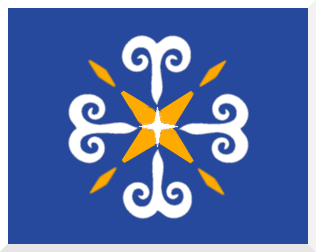 Tumeken is the God of Sun, Diversity, and equality. Elidinis is the Goddess of Fertility and Growth, and the patron of Farmers. Icthlarin is the God of the Underworld and Travellers, the Patron of Nomads. Amascut has been remodeled into her former image of being the Goddess of Rebirth, and with it comes the title of being the Goddess of Cycles, Revenge, and a special note of Echoes. Apmeken is still the god of Friendliness, Cleverness, Comedy, Dexterity, and is the Patron of Merchants and Comedians alike. Crondis represents Satisfaction, Modesty, Emotion, Music, and other things of the like. Het represents Physical Strength, Health, and Honor. He’s the Patron of Soldiers and Honest Workers. Finally, Scabaras has been restored, being the god of Knowledge, Wisdom, Patience, Common Sense, and is a welcomed member of the Pantheon. He’s the Patron of Scientists, Doctors, and Wise Men. However, that is where most of the similarity ends. Most Regions tend to incorporate local Myths and Legendary people into the Pantheon Myths and Pantheon Gods and Demigods. While, in most cases, this would cause unrest between the states, all those in the Religion abide by the Doctrine of Tumeken, which ordains Equality, Diversity, Friendship, and Religious Tolerance. Additionally, there are four other Doctrines in Core Pantheon Beliefs. Firstly, there is the Doctrine of Al-Kharid: This one stresses the creed of having to pay a service to the community. Becoming one, becoming worthwhile, and paying back to the community that has aided you. This service is done either in the form of Military Service, or a Charitable Donation to either the People or the Government. Additionally, it makes a large deal about the dual importance of military preparedness and friendly terms with allies. The Second Doctrine is known as the Doctrine of Ullek. It is a creed that all Travellers and Merchants abide by: To be Polite, to pay back to any hosts you have, and to always provide the best service you can. Always be willing to help those in need, and if you are in need, remember to help those who helped you. The Third Doctrine is known as the Doctrine of Nardah. In this one, Apmeken, Het, Scabaras and Crondis decree the basic rights of all, that only the individual can take away from his or herself. The Fourth Doctrine is known as the Doctrine of Uzer. It is here that is ordained that a welcoming spirit and exchange of gifts is always in order. It is upon this that the Uzer Colony was established, and is possibly the most well-known of doctrines. This unit is Commander, however, rather than using Melee, he is a Seasoned veteran who hurls magical-ranged explosives. His Explosives and War-Cries raise morale, and he is, of course, the very model of a Modern Bombardier General. Uzerite Caravans have a 50% less chance of not getting raided by Bandits, as the Bandits respect their common ancestry with the Uzerites. Ideology: Gregor is a man who strives to be the shepherd of the masses. With a soothing left hand and a firm right hand, he wants to bring people into the Light of Saradomin and give them a haven to live and prosper in. He's not an idealistic fool, knowing that to achieve his goals, he'll need a strong military, a silver tongue, and unmatched cunning. Yet he's steadfast and determined, watchful and vigilant, as his name describes. He won't give up until he's claimed victory for Saradomin and the Engellian Empire is the greatest sovereignty in existence. 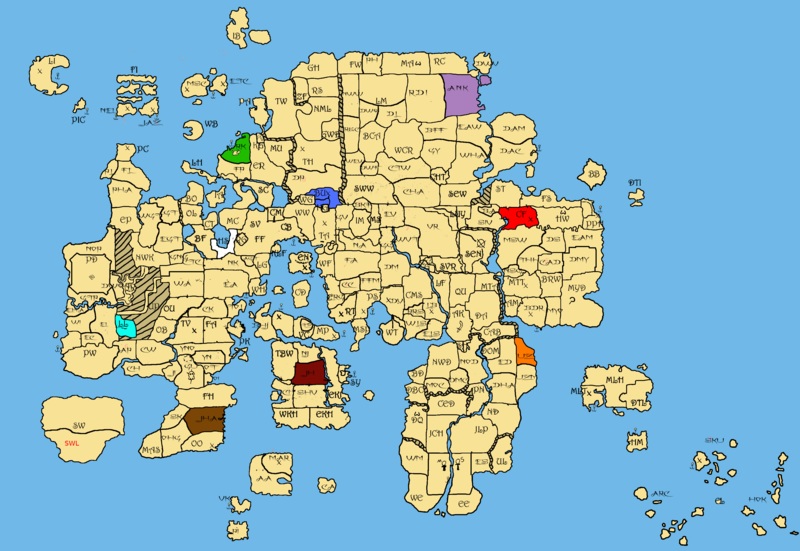 When the Kingdom of Gielinor was established, traditional borders evaporated; people laid down their arms and allowed their cultures to spread and mix naturally. The mingling of the Kandarinian and Fremmenik cultures created a small country just north of Seers' Village and south of Rellekka, where children were given Fremmenik names but raised mostly as Kandarinians. Faction Motto: Guts. Glory. Saradomin. The Empire is an imperial oligarchy formed by individuals selected according to competence and experience. Reinhardt acts as the Emperor and leads a group of seven Provosts - collectively called the Council of Provosts - each of whom has a specific set of imperial duties and is deemed worthy of becoming Emperor should Reinhardt fall. The Grand Provost is the one directly chosen by the Emperor to succeed him. Should he prove incapable of handling the prestige and power associated with the Emperor title, the Council may vote one of their own to the position; a majority vote determines the Provost to be chosen. Any Provosts who are promoted or killed in office are replaced by a candidate chosen by the Emperor. When it comes to the hierarchy of authority, the Provosts propose laws and regulations that relate to their sphere of management; for instance, the Provost of Land and Agriculture will propose a tax break for farmers. The proposal is closely examined and amended by the Council and then shown to the Emperor for final judgment. Provosts only discuss their decisions with the Council when more than their sphere of management is affected by them. However, the Emperor is always notified of what each Provost does and can overturn decisions if necessary. The tenets of Saradomin are clear. Strive to live in a world of order, peace, and pleasantry, and do not raise your sword except in defense of these ideals. The Engellian Empire takes this a bit further: Citizens are expected to contribute to the greater good and will receive protection, benefits, and freedoms (so long as they abide by the laws). Those who don't contribute will not receive anything from the Empire, though they may still find charity from the local churches of Saradomin dedicated to spreading goodwill. The Empire makes no attempt to stop this charity; in fact, it's encouraged, so long as enough citizens are contributing to the greater good. Unique Unit: Crown Infantry. Armed with extremely heavy armor and a dual mastery of Melee and Magic, these elite soldiers dedicate their lives to both the crown of their Emperor and the Crown Archival of Saradomin. Faction Trait: Faith Through Service. Passive. As Engellians are inspired to work for the greater good, they're able to collect an additional 2,000 resources per season. As a note, I'd prefer if Unique Units were classified as a single battlefield unit - a soldier or siege engine - or a single naval unit. If you want to improve Agents, use your Trait. Agents are units - thus improvable. Alright, 'ere goes: Bombardier General (Replaces Commander) - Cost 1,500, upkeep 300 gold per turn. As for Ascertes: Crown Infantry (Replaces Swordsman) - Cost 40 metal and 40 cloth, upkeep 20 gold per turn. Damage potential: 1, can use melee and magic in battle. Agents aren't units. The Commander is the closest thing to a unit, but he has bodyguards who protect him. There's no such thing as a Tier II Agent, only increases in their effectiveness or reductions in cost. Also, all Unique (battlefield) Units should require at least 2 seasons to recruit, especially in the case of the hybrids/tribrids you know people will try to propose. In exchange, they won't replace one of the standard units. Right, I forgot to add the recruitment time. It's two seasons, yes. You're partially correct - agents aren't battlefield units (save for commander). Any and all things you pay to keep and move around on their own (as a whole) are units. You can move agents, thus they're units. A cannon in itself isn't a unit, a nexus without incantors isn't a unit, but the whole you call nexus in the game is a unit, as well as even ships. And yes, also professors, spymasters, diplomats and so forth. EDIT: Oh, I just saw your little addendum of not replacing anything there. No chance. I suppose thinking about it in that sense is fine, so long as people don't start asking for "Agent tier upgrades". The terminology is confusing. The only reason I don't want to replace a standard battlefield unit is because there's some kind of balance there. One heavy, offensive Melee unit, one medium, versatile defensive Melee unit. Long rage, faster firing Ranged unit with a shorter range, anti-armor Ranged unit. Half the players in GW4 chose to replace the Priest because they didn't know how versatile it is, and when they found out, a few people wanted their Unique Unit to have the Priests' abilities (looking at Songstresses), which completely defeats the purpose. Also, trying tho think of a Unique Unit in terms of "What can I replace?" limits creativity. Each Unique Unit can have a main archetype, even if it's a hybrid, tribrid, or other. That'll factor into the weakness calculations. It just seems like a better way to handle Unique Units. Fine, keep your swordsmen. I'm pretty much only giving in here since Crown Infantry is also a magic troop. Unique units are always a "replacement upgrade". You give your "right" to recruit cheap, weak units in favor of strong, expensive units that give you something extra. Also, time for a little switch-up. Instead of troops having defensive weaknesses, they will have defensive strengths. Being defensively strong against an attack style will make the unit receive 2/3 of the damage they would otherwise. If, by any chance, your unit is defensively strong against an opponent, who is offensively strong against your unit, the damage taken is (2/3)·(3/2)=(6/6)=1 times the damage you would normally. As such, each unit will also be assigned a defensive class to distinguish the type of their defenses. 1. Fixed Backstory to something that exists. 2. Added a rudimentary flag, but didn't bother to not take out the white corners of doom. Can I have some feedback on the Backstory, Government System, Religious Interpretation, Flag, etc.? So I now have to reword all of the unit descriptions? Weaknesses worked fine and made sense; why the change? If you absolutely insist on having the Unique Unit replace a standard one, fine. You're the one in charge of balance, I guess. These changes aren't coming late. The whole point of testing, especially alpha, is to find issues and try out potential improvements. Because weaknesses didn't work, Ascertes. There only were offensive strengths and defensive weaknesses. Bad and worse. I've made do with a little bit of improvisation in GW4, but I don't want to do that to Siroki. I'd rather be clear. Everything is in order guys. Go ahead and commence playtests. I'm going to sleep now, though. I'll do my turn in my morning time. Replied to the unit stat change in the Military draft. Let's move all discussion on that topic over there. Wait, no, we have found a treasure in some of the ruined undercity that has no yet been fully explored! ONE Gold coin! We send a scouting party to explore the Eastern Desert, and another to Uzer Mastaba. 2. Starting over is difficult ;_;. As you can see, I'm not taking the fluff too seriously. You'll need to be more specific on the camel archer technology - what exact method are you trying? Not what I meant, but very well. Since you don't require any actual technology for it, your experts will commence the creation of proper setup and training program for camel archers. Want Agents to take 1 season of recruitment as well? I think it's logical but don't mind either way. Hmm... You're right, they should take one season. Sowweh Lime. Yeah! Early game advantage FTW! You do realize the coin is cursed and will somehow appear in Abbas' meal and end up in his windpipe next season unless you pay an expert exorcist 20,000 gold to deal with it? Today is an exciting day. The dawn of the Engellian Empire is upon us, and, on this day, the Light of Saradomin will begin to illuminate the world. It is my duty, as Emperor, to rule the people with order, wisdom, and pleasantry. Every empire starts small. Here, I start with but one town; in ages past, it was called Burthorpe, but I have renamed it Engelburg. It shall be my capital and, in time, the shining bastion of Saradomin, greater than even Falador of the Fifth Age. I want my citizens to gather 10,500 Wood, 5,000 Stone, and 4,500 Metal. I want to train 225 Spearmen, who should be completed next season. A single Professor, ready for research. Good! Begin looking into how to improve the quality of our steel weapons and armor; I'll call this endeavor "Advanced Steel" and it should be counted in the Engineering field. Diplomat, start traveling south, to Taverley, and see if you can't arrange an audience with whoever owns it. Find out as much information about the people living there as you can. This should take 1 season. 1. Reword the Agent buildings to be clearer. The Agent buildings in towns will only provide a place for lost Agents to be retrained, while Tier II versions in cities will raise the cap. 2. Mention in the Agents draft if we start with any of them. Probably 1 Professor and 2 Diplomats at least, right? Maybe a Commander? 3. Decide whether to have a starting army. I'd say yes, but that will drain on income immediately, so maybe people would prefer not to have one. Hmm... Starting army of: 100 Swordsmen, 100 Archers, 100 Mages, 100 unique unit. If unique unit replaces swordsmen, rangers or mages, or the unique unit is not a troop, the faction gets 100 lancers instead of the replaced or unique unit (a faction cannot obtain the units its unique unit replaces, unless given some by another faction). Jasband gets 100 Swordsmen, Archers, Mages and Crown Infantry; Lime gets 100 Swordsmen, Archers, Mages and Lancers. Starting army is not optional, unless you want an immediate bandit raid on your capital.